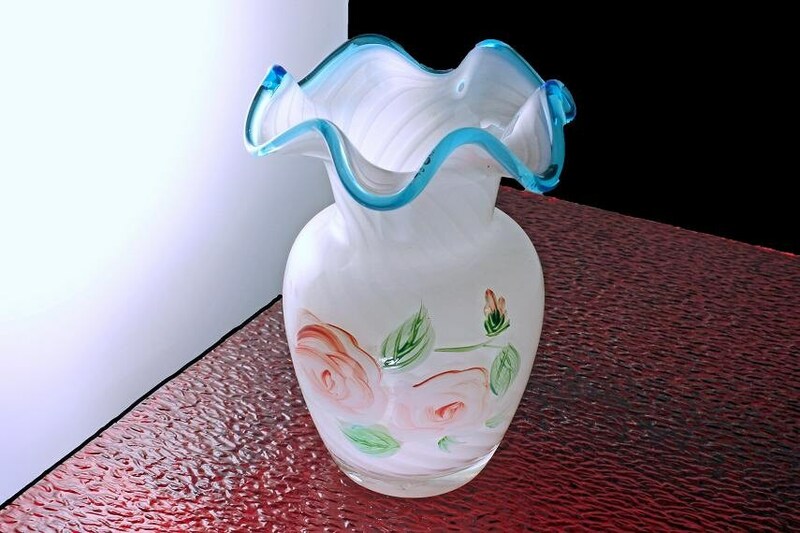 This is a lovely 6-inch ruffled art vase. 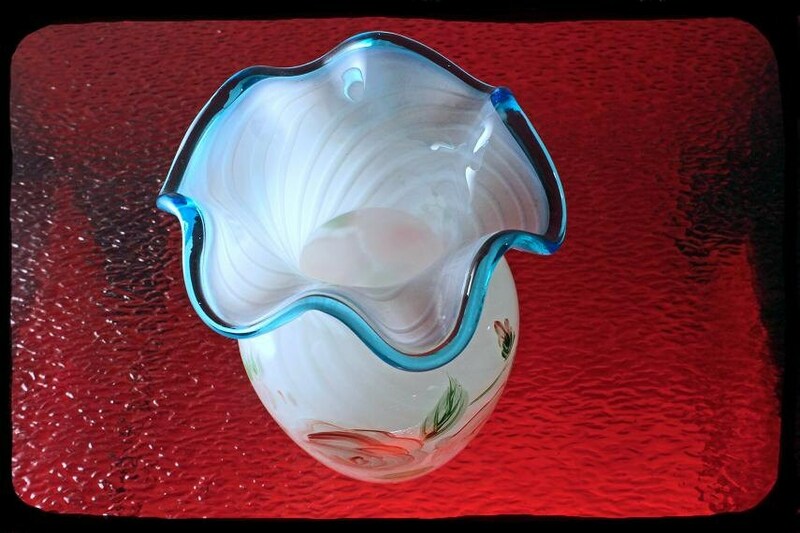 The cased swirl glass is white and clear and it has a blue trim on the edge. 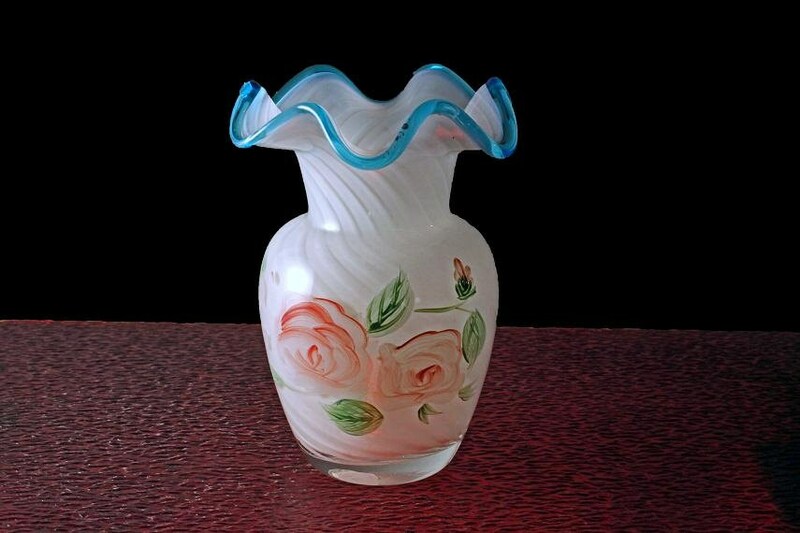 There is pink hand painted roses on two sides of the vase. 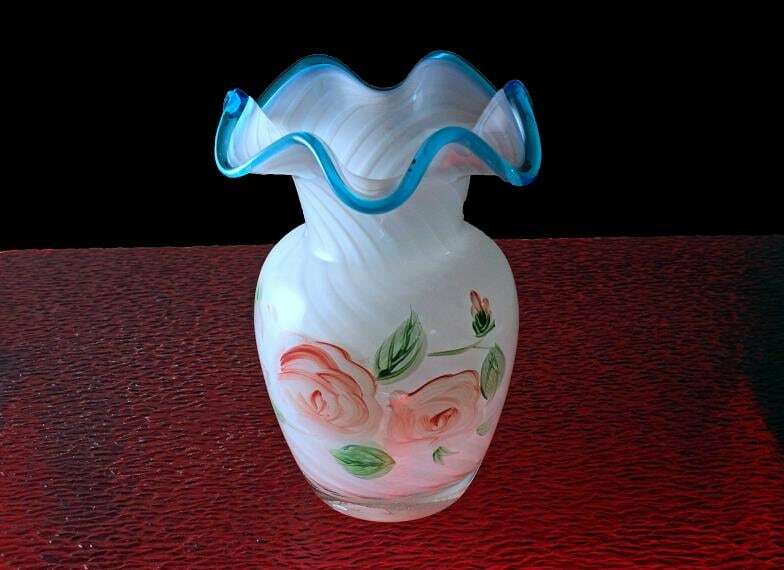 A perfect bud vase for those treasures from your garden. This vase is in very good condition. It has a chip on the bottom but it doesn't effect how it stands. There are no chips on the rest of the vase and there are also no cracks. 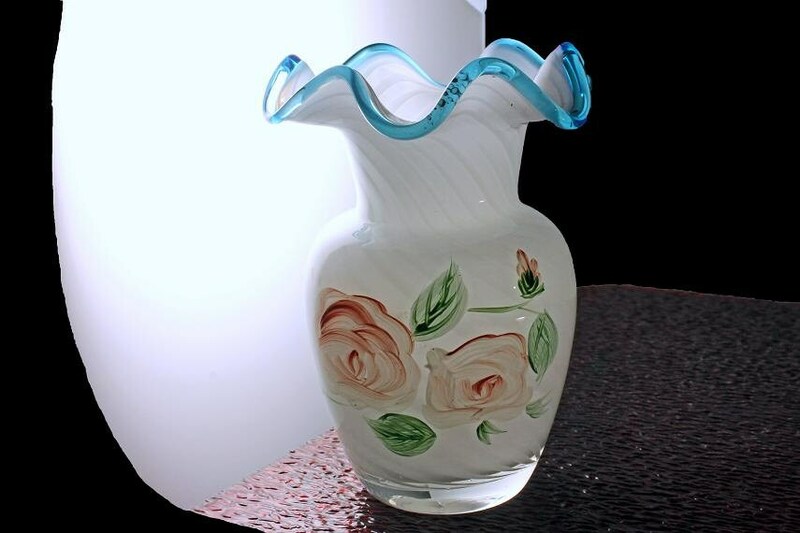 A great vase to display flowers at their best. Just a wonderful item and perfect gift idea.